Do you or someone you know want to find a better career? Do you need to further your education to reach your goals but don’t know where to start? 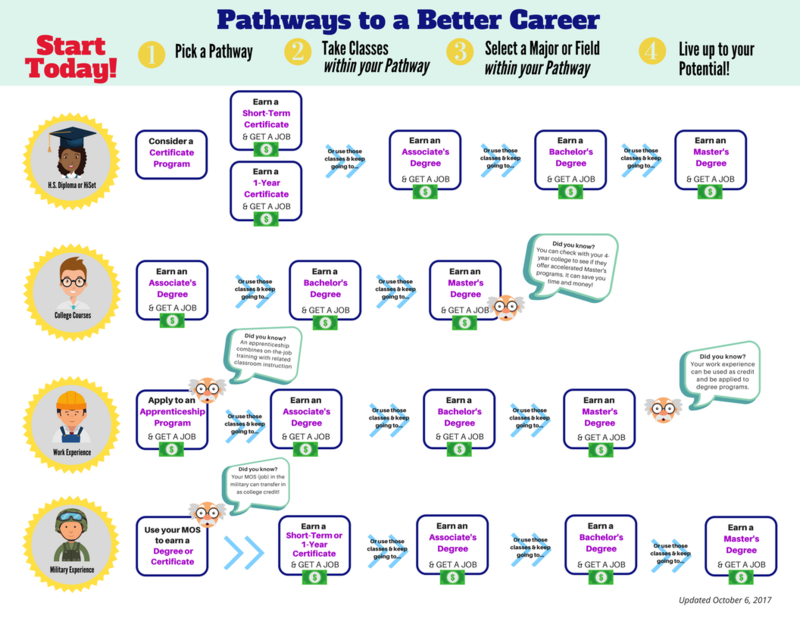 The guide below will help you find a path that fits your career goals and learn about financial aid resources. A pdf download of the document is also available by clicking here.